Aloha friends! 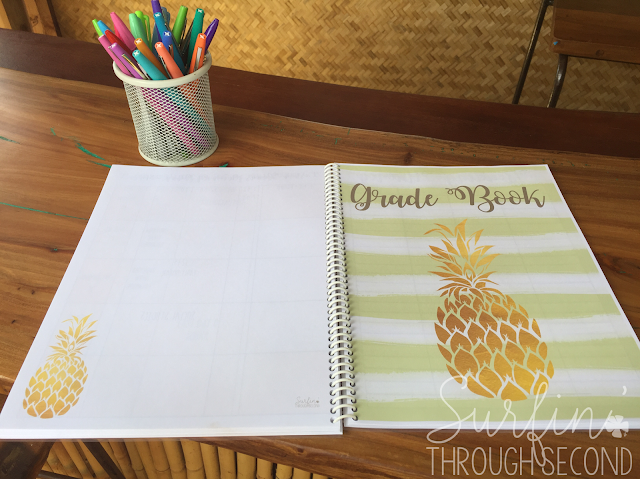 It's Back To School time for many of us and I'm sure you are thinking about organizing and planning for your classroom. I have always been a very organized person and absolutely love making lists and buying planners. Over the years I have gotten tired of spending money on lesson planners that just didn't have everything I needed or they had way too much!! Don't get me wrong I love looking at beautiful planners with lots of choices, but they were also WAY out of my budget!! I'm a full time single mom of two teenage girls, and a teacher in Hawaii to boot. Not a big income to draw from! So planners over the $20 range just don't fit in my budget. 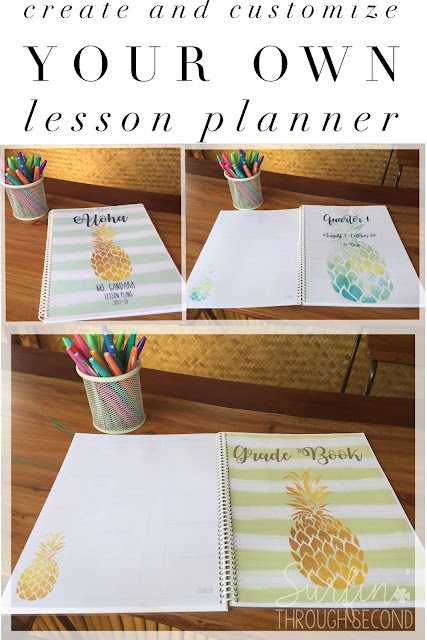 A few years ago I decided to sit down and create my own lesson planner. I thought about all the things I use daily and created what worked for me. 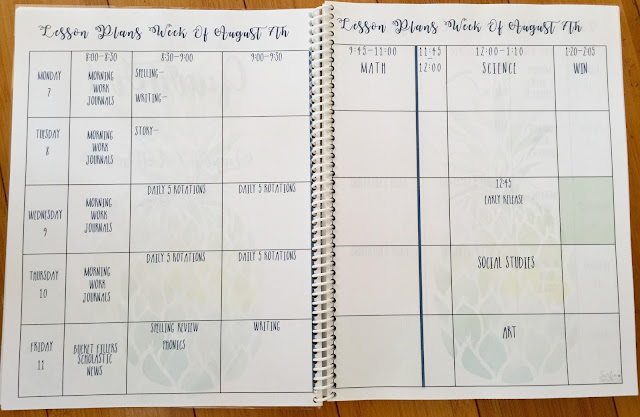 Each of my planners include pages to help organize my student and parent information, daily schedules, website logins, and year at a glance planning pages. There are also blank pages for adding in whatever you need. 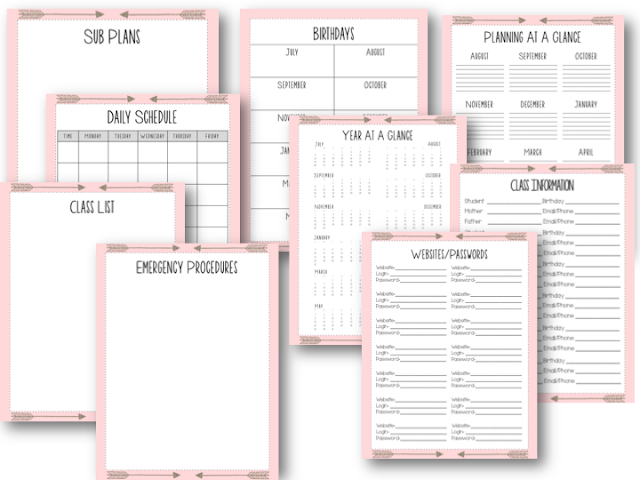 I then created lesson planner pages in a variety of formats to suit most educators needs. Another important item in my planners is the grade book. I like having my grade book included instead of having a whole separate book. Finally I decided my lesson planner also needed a monthly calendar to help me see what events, activities or holidays might be happening during the month or year. 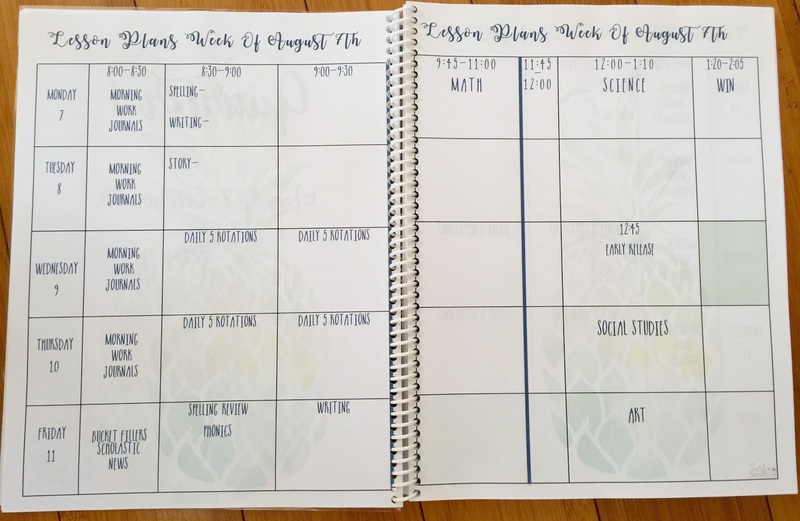 Once I created the basic template I could then go through and add in my own details such as times of subjects and dates on my lesson planner pages. Having the template in Powerpoint allows me to duplicate pages easily and print only what I need. Once I print I then laminate the front and back cover and take my planner to Office Max to have it spiral bound for only $3.00. Make sure to tell them what color binding you want or they will just give you black. 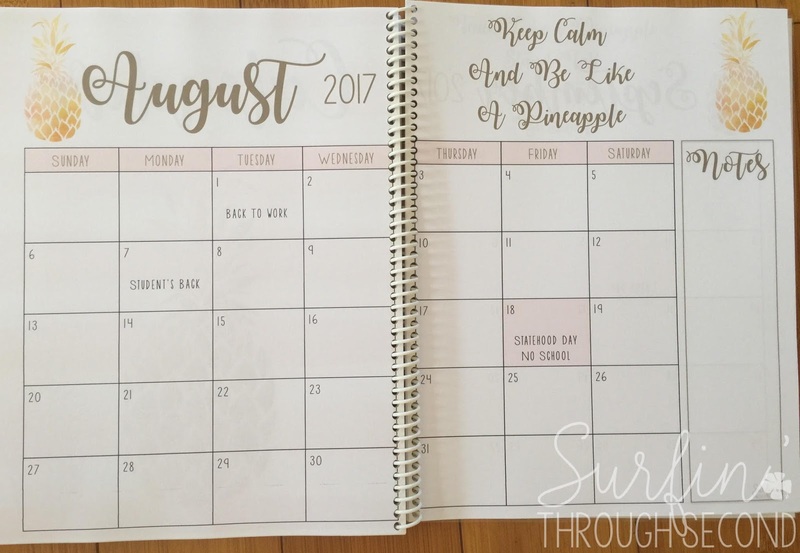 The pages can also be slipped into a binder and you can add in what you need throughout the year. If your looking for an economical way to have a beautiful or fun lesson planner, that is customized to your needs, then take a peek in my TpT shop at the variety of themes/templates that I have. 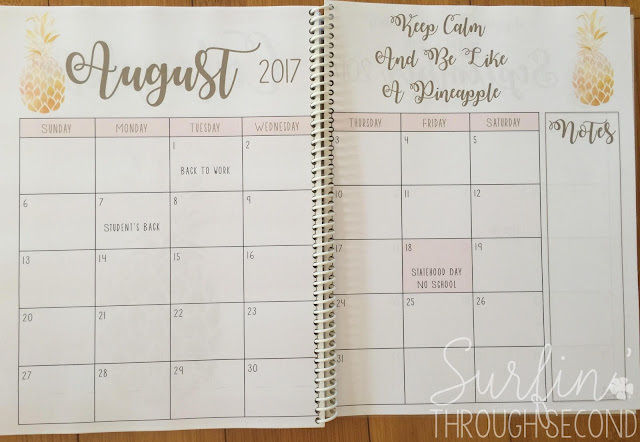 Once you purchase a planner from my TpT shop you will receive free yearly updates. If you don't see a theme that you like shoot me an email and I will add it to my list of ideas. 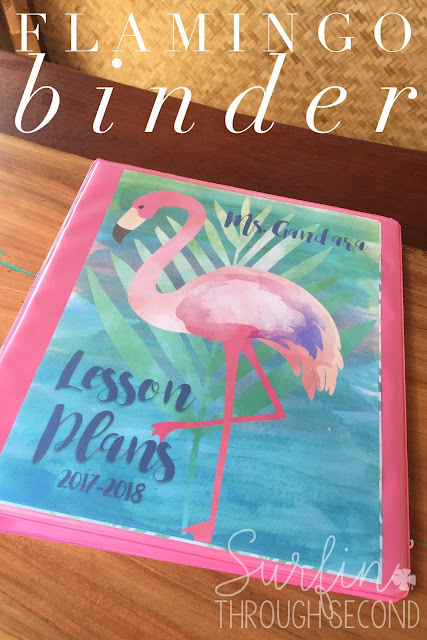 If you are a lesson planner junkie like me then you know how much a great planner can help prepare you for a great school year! 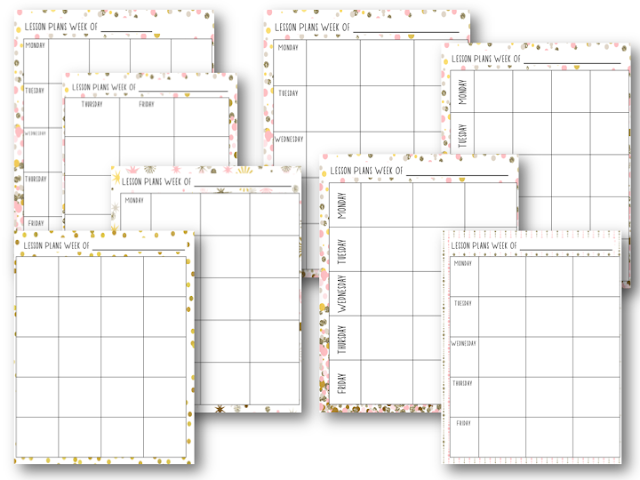 Whether you purchase or create your own planner I wish you a happy year back in school!